In my post Goals and Risk or the Straight Line Meets the Jagged Line I covered the impact of market volatility on investment portfolios over the last 20 years. 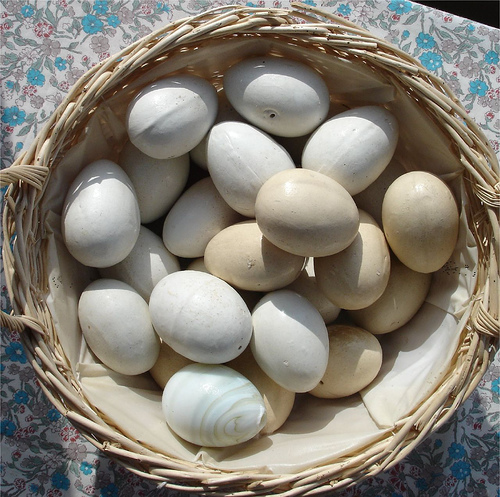 This post discusses diversification as a means to mitigate that volatility. Diversification simply stated is the spreading of investments into several different assets or classes of assets in order to reduce the risk of loss. This is important because there have been 5 long-term (longer than 1 year) stock bear markets* since 1926 the last of which ended in March 2009. These bear markets were experienced by each of the last three generations so depending upon your current age there’s a strong likelihood you’ll experience more. -Bonds have offered worthwhile diversification during a stock bear market as in all four of those bear markets, bonds enjoyed positive returns. Investors who invested in bonds during bear markets suffered far less damage to their portfolios than those who invested solely in stocks. Bengen’s work is based on a historical analysis of the record using actual returns of asset classes and inflation. Economists have created a risk reward model using diversification of asset classes called Modern Portfolio Theory or MPT. In MPT investments are described statistically in terms of 1)their expected long-term return and 2)their expected short-term volatility. Since no two investments move exactly alike when you put them together in a portfolio you get a Curve, and it’s this Curve that improves your return with less risk. The goal of MPT, therefore, is to identify an individual’s risk tolerance and then create a portfolio which maximizes return for that level of risk which is called the Efficient Frontier. This is really really interesting stuff but too detailed for this post so I highly recommend you check the website MoneyChimp.com. Click here for a great discussion of MPT . Gallery | This entry was posted in Financial Literacy Basics, Investing and tagged Financial Literacy, Financial Planning, Money Management, Personal Finance, Personal Financial Planning, Retirement Planning. Bookmark the permalink. Great Article Jay. Better understanding of Bear Market!